Most of the cases filed against members of militant outfits have remained pending with different courts across the country due to slow trial process. Lawyers of the prosecution and defence both have blamed non-appearance of witnesses, including those from law enforcement agencies, for the slow progress in the proceedings of the cases. Defence lawyers, however, held negligence of prosecution lawyers and police in producing the witnesses before courts, responsible for their non-appearance. 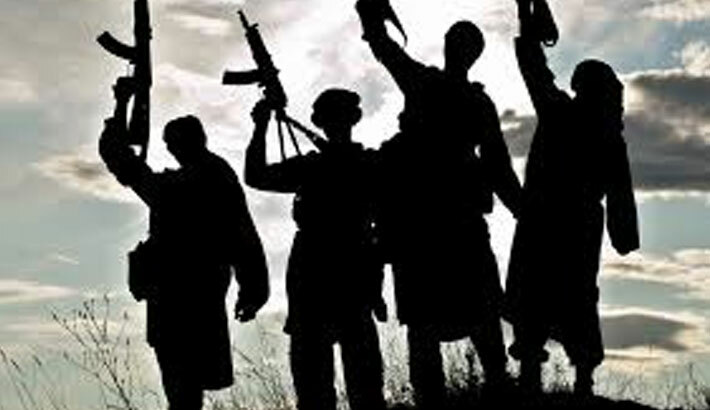 Most of the militancy-related cases were filed against members of outlawed militant outfits — Jama’atul Mujahideen Bangladesh (JMB), Ansarullah Bangla Team (ABT), Harkat-ul-Jihad-al-Islami Bangladesh (HuJIB) and Hizbut Tahrir — under the Anti Terrorism Act, 2009, Special Powers Act, 1974 and the Penal Code. Sources in the police headquarters said 850 militancy cases were filed with different police stations across the country in the last 18 years since 1999. Of them, only 113 cases have been disposed of while the remaining 737 are at investigation level or under trial. They said nine cases were filed against militants between 1999 and 2004 but none of them has been settled yet. Seven cases are still under trial while two are at investigation level. Sources also said around 3,457 members of different militant outfit have been arrested in connection with the 850 militancy cases. Police submitted charge sheets in 598 of the cases while they gave final reports in 21 cases and 231 cases are still under investigation. Sluggish investigations into the cases and slow pace of trials not only delay justice but also raise other terror-related concerns, experts said. On February 27 in 2004, criminals attacked Dhaka University Professor Humayun Azad and stabbed him when he was returning home from the Ekushey Book Fair on Bangla Academy premises in the capital. After undergoing a series of treatment at home and abroad, Humayun Azad died of cardiac arrest during a visit to Munich in Germany on August 12 of the same year. After investigation, CID found involvement of banned militant outfit JMB members with the attack on Professor Azad. Almost 13 years have passed but the trail in the case remains stuck with the Fourth Additional Metropolitan Sessions Judge’s Court in Dhaka due to non-appearance of witnesses and slow pace of trial. Like Professor Azad murder case, many militant cases have remained stuck for non-appearance of witnesses, negligence of prosecution lawyers and police, and slow trial proceedings. Apart from this, many other militant cases are pending as investigators are failing to submit charge sheets in the cases till now. Public prosecutor, defence and expert lawyers said trial process in militancy-related cases is being delayed due to the absence of witnesses on the scheduled dates. Not limited to civilian witnesses, police are also often guilty of failing to show up and give statements. Sources in the jail said more than 100 militant prisoners have been released on bail from jails in the last six months. The state lawyer alleged that names of many policemen have been mentioned as prosecution witnesses in every militant case but they are also often guilty of failing to show up and give testimonies before courts in the cases. “We are sending summons asking witnesses to appear for the testimony in the cases but they are not coming despite issuance of arrest warrant against them,” he added. However, the officials of the prosecution department of police said the witnesses, who failed to show for most of the cases, were not found at the addresses as they had changed residences. In order to resolve the issue, witnesses in more recent cases have to provide alternate addresses and mobile phone numbers as well as their current address, they added. Talking to the daily sun, Advocate Faruque Ahmed, who is defence lawyer in most of the militant cases in Dhaka courts, said, “We also want quick disposal of the cases as a number of my clients are suffering in jail without getting punishment in the cases. The trial of the cases remains stuck as the prosecution lawyers are failing to produce witnesses in the cases,” he added. Talking about their stand on radicalism, Inspector General of Police (IGP) AKM Shahidul Hoque at a recent programme said that policemen are working ceaselessly along with other law enforcement agencies to end the scourge of religious bigotry and other terrorist activities.